Children smaller than 140cm in height are allowed in the front passenger seat – but the airbag must be turned off. From the 1st December until the 31st March certain winter road conditions dictate the rules of the road. 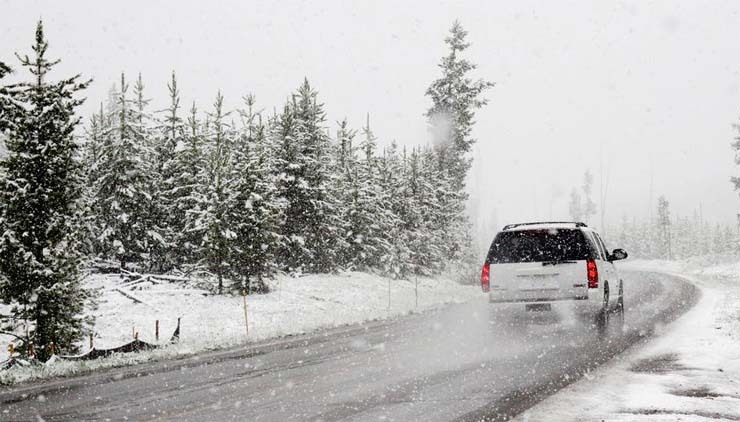 Road conditions, which are considered to be wintry include when there is snow, ice, slush or frost on any part of the road and the temperature is around 0 degrees. The Swedish police will decide if there are winter conditions on any particular road. Heavy snowfall and lower temperatures are more common in the northern parts of Sweden. However don’t be put off by driving in wintery conditions as long as you are informed of the rules of the road and keep to well-maintained roads you will be fine. You must use winter tyres on both light and heavy vehicles. 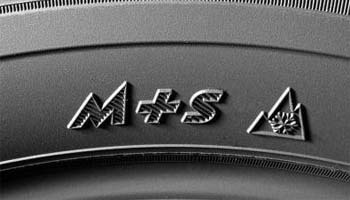 The winter tyres must be labeled with M&S (Mud and Snow). 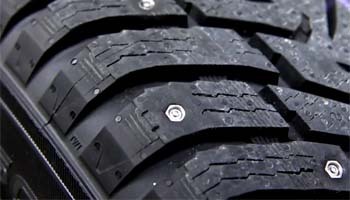 The tyres can be studded or non-studded (with or without spikes). Private or light vehicles should have a tyre tread of at least 3 millimetres. 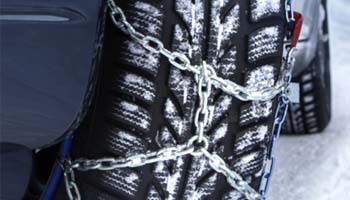 Snow chains can be used in Sweden if the road conditions require it. Trailers are also included and must also have studded tyres if the car has studded tyres. Trucks, buses and campers should have a tyre tread of at least 5 millimetres. Drivers must have antifreeze in the vehicle windscreen fluid and a shovel in the vehicle to clear snow. Recommended for winter conditions are a towrope, a reflective jacket and jump leads. 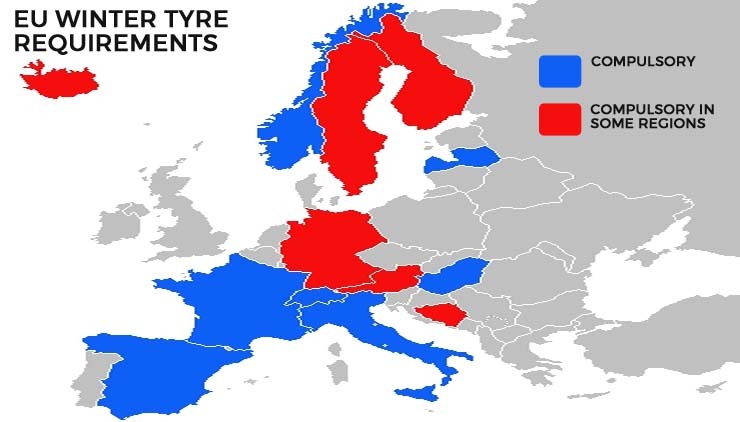 Winter tyres are compulsory in Sweden from the 1st of December until the 31st of March. As shown above, winter tyres must have a minimum tread depth of 3mm (5mm for vehicles other than private cars). 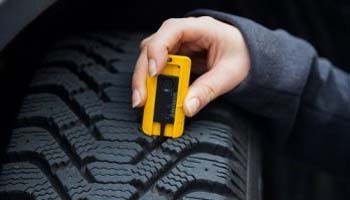 If hiring a car, the required winter tyres will be fitted for your rental car to meet the regulations. 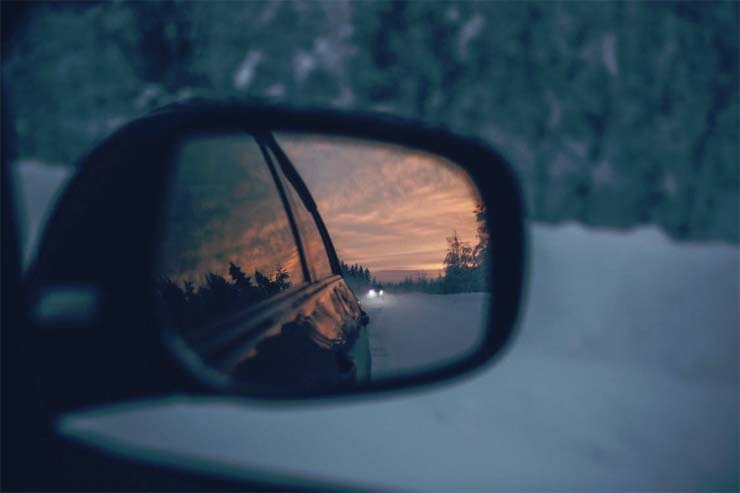 Sunset can occur early in Sweden during the winter months, so it is likely you will find yourself driving in the dark. It is advisable to use your main beam when possible, this will help in detecting any animals crossing the road in the distance. It is possible to come across Moose or Reindeer in the North or Pigs in the South. Driving in high winds can be dangerous, be alert to fallen trees and related road closures. Bridges in Sweden, such as the Oresund Bridge often has speed limits placed on it during high winds, so pay attention to any changes in speed limits. Speed limits are based on the safety and quality of each road. Therefore be careful to check speed limits carefully when driving in Sweden, you should come across signs at regular intervals. *Note that speed detection devices are not allowed in Sweden. above the limit a large fine or a prison sentence can be issued. 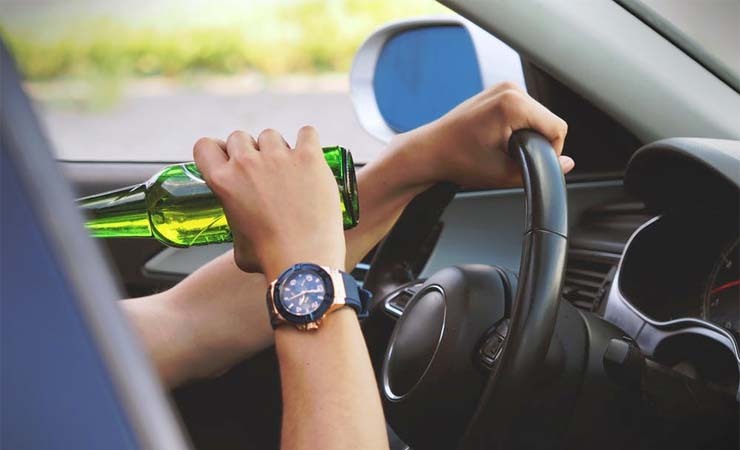 The best advice is not to drink and drive at all. A circular sign with a blue background indicates NO PARKING, but stopping is allowed. A circular sign with a red St Andrew’s cross on a blue background surrounded by a red border indicates NO PARKING OR STOPPING. You are only prohibited to park or stop facing the direction of traffic flow. 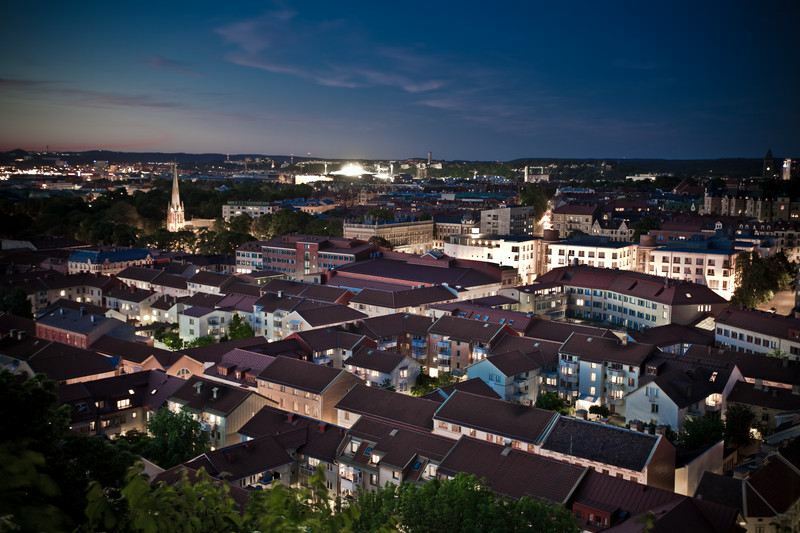 Parking fines ranging from 400 – 1000 SEK may be enforced. Disabled parking badges from the UK can be used in Sweden. There re no toll roads in Sweden, however you do have to pay a fee to cross two of the major bridges: The Oresund and Svinesund bridges. These bridges lead you to Denmark and Norway. 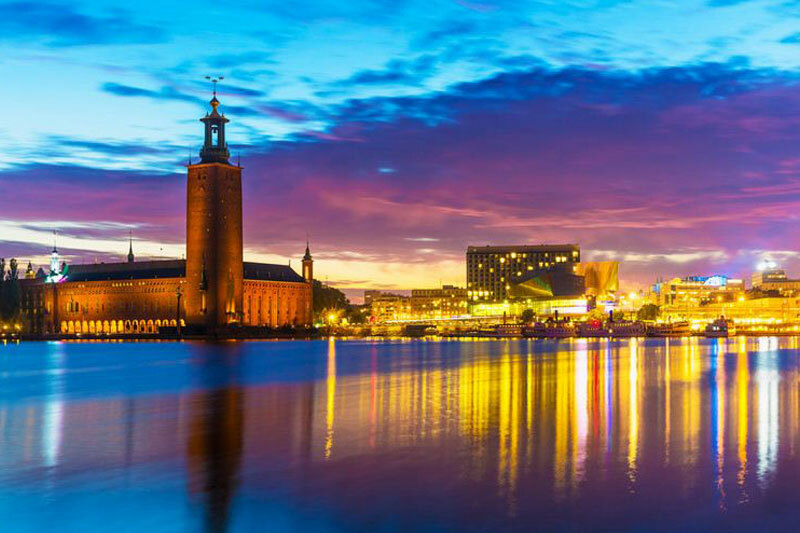 The international system of green, amber and red are used in Sweden.